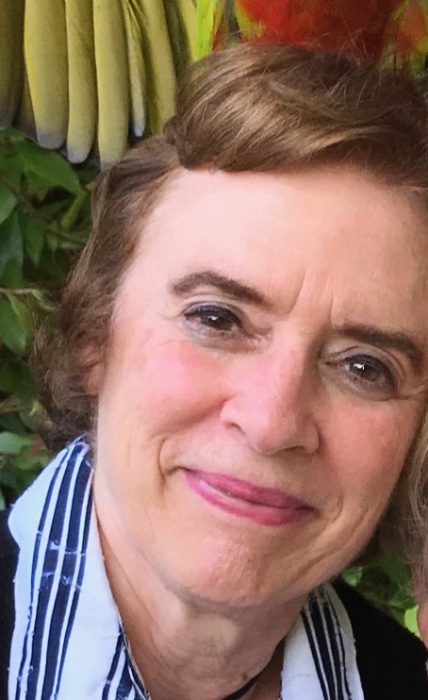 Patricia L. Warn, 75, of Germantown Hills, IL passed away at 5:30 pm on Wednesday, April 10, 2019 at her residence. She was born on January 4, 1944 in Delaware, Ohio to Clarence E. and Florence Sylvia (Steadman) Hammond. She married Lawrence A. Warn on October 19, 1974 in Eureka, IL. He passed away on October 17, 2010. Surviving are her two daughters Gini (Otto) Rutz of Chillicothe, IL and Beth (Randy) Hales of Clinton, North Carolina; two granddaughters Katy and Ellie Hales; and three sisters Jan (Wally) Johnson of Fryeburg, Maine, Susie Hammond of Mirror Lake, New Hampshire, and Debbie Hammond of Marengo, IL. She was preceded in death by her parents. Patricia was an accountant at Caterpillar Tractor Company for 38 years, retiring in 2008. She was a member of Christ Church in Germantown Hills. Patricia loved reading, flowers (especially pansies), exercising, and was a chocolate connoisseur. She loved traveling and especially traveled about six months out of the year to her home away from home in North Carolina to see her granddaughters whom she truly lived for. She had a true heart of a servant. Cremation rites have been accorded. A Memorial Service will be held at 11:00 am on Monday, April 15, 2019 at Christ Church in Germantown Hills with Reverend Charles Buegel officiating. Visitation will be held one hour prior to her service on Monday at the church. In lieu of flowers memorials may be given to Christ Church, 110 Holland Road, Germantown Hills, IL 61548 or Susan G. Komen Memorial Affiliate, 4700 North University Street, Suite 92, Peoria, IL 61614. Online condolences at www.masonfuneralhomes.com.